From the Forums: ‘O’ Scale Railroad Model will Include Embedded Music and Motor Circuits « Adafruit Industries – Makers, hackers, artists, designers and engineers! We love that customers learn by trying. 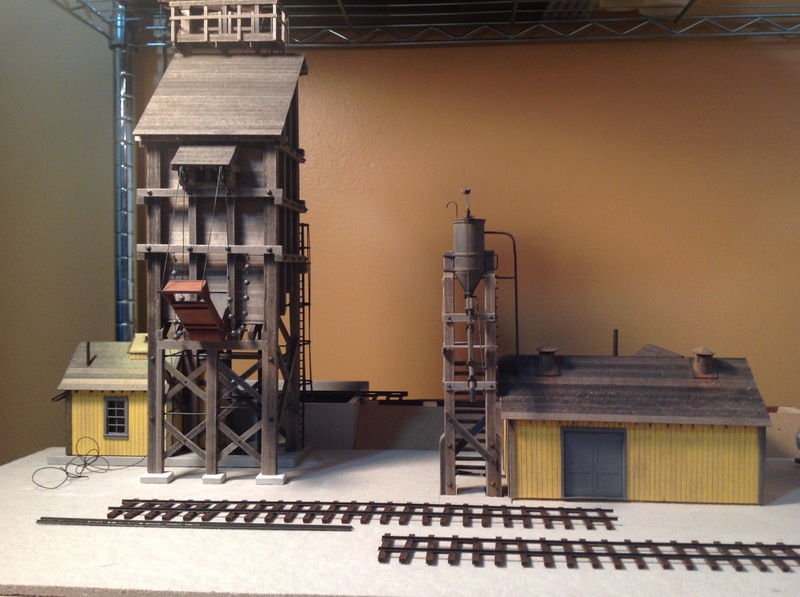 This ‘o’ scale model coaling station along some railroad tracks is already epic enough as-is, but forums user augydoggy decided to amp it up a notch by embedding some custom motor- and sound-effects in the model, driven by an Arduino Mega 2560, with accompanying Music Maker & motor shields. What began as a general inquiry into troubleshooting a bit of code has evolved into a healthy learning exchange – and these notes will likely help others when they search for solutions to their designs as well. Great! Beneath the trestle of the ash pit will be a large pile of cinders with hidden LEDs simulating the glowing coals. The LEDs will be driven by the soundtrack in void ashPit and the varying voltage from the soundtrack will give a varying intensity of light. The sand house has two scenes. One for the tower (void sandChute) when it provides sand to the locomotive. The sand chute is operated by a DC motor located in the sand house. The soundtrack for this scene has sounds of the locomotive’s sand some being opened and closed, the chute being lowered and raised and sand being loaded into the dome. The second scene (void sandCompressor) is sound only and simulates the sounds of shoveling and drying the sand and blowing it up to the top of the tower. 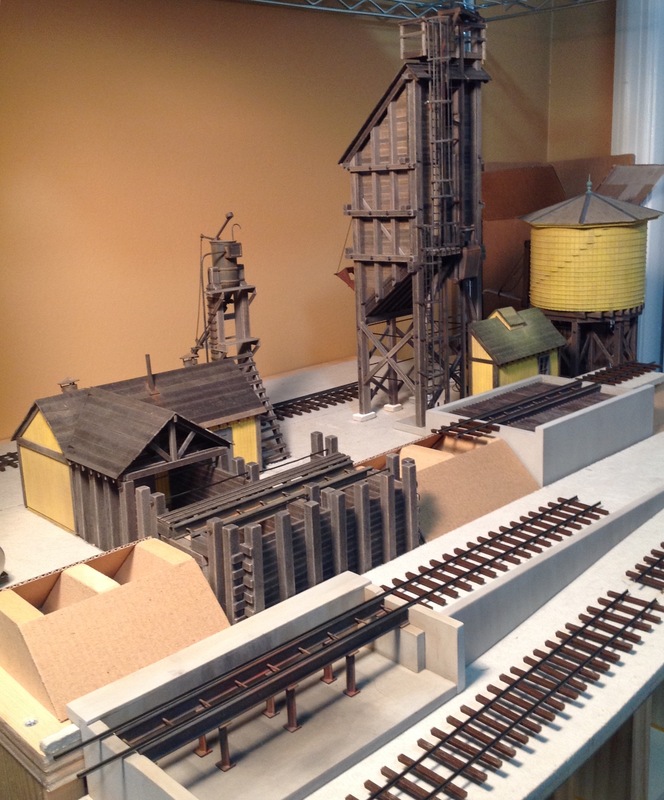 The coaling tower has three scenes. One for the coal chute in the front of the tower (void coalChute) which simulates the filling of the locomotive’s tender with coal. The chute is operated by a DC motor hidden inside the tower. The soundtrack for this scene has sounds of the chute being lowered and raised and coal dumping into the tender. The second scene (void coalBucket) is for the coal bucket at the back of the tower. The bucket runs on a track from beneath ground level to the top of the tower. It’s hoisted by a DC motor located inside the tower shack and the purpose is to keep the tower filled with coal. The soundtrack for this scene has sounds of the hoist motor running, coal being loaded and dumped, and the bucket being hoisted and lowered. This scene has a loop that repeats eight times. The third scene (void coalPit) is sound only and simulates the sounds of a hopper car dumping coal into the coal bin located behind the coal tower. The water tank scene (void waterSpout) simulates filling the locomotive’s tender with water. The spout is operated by a DC motor hidden beneath the water tank. The soundtrack has sounds of the tenders water hatch being opened and closed, water flowing and the spout cables running through the pulleys as it’s lowered and raised.